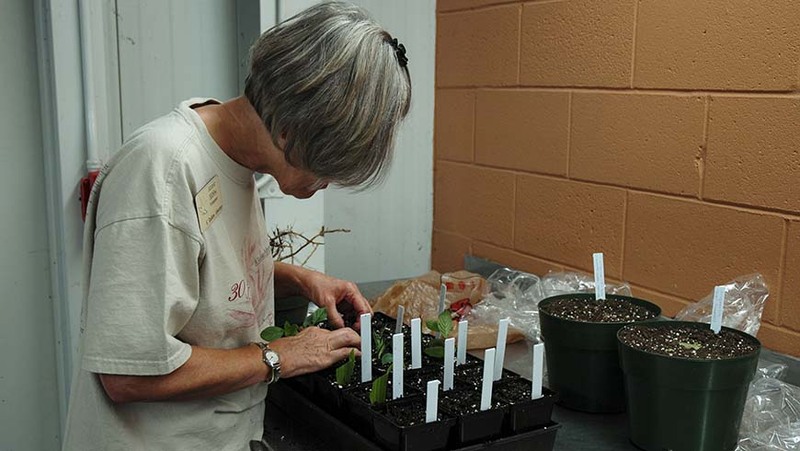 Join JC Raulston Arboretum staff in this hands-on workshop and learn how to asexually propagate some of your favorite plants in the JC Raulston Arboretum's collections via hardwood cuttings. Participants will go home with a greater knowledge of plant propagation and with many freshly propagated plants. Techniques discussed can be done at home. This workshop is open to all knowledge/experience levels. Note: Many of the newly propagated plants will remain in our greenhouse for a few months and can be picked up at a later date, but some will go home with the participants. $100.00 for members, $125.00 for nonmembers. The cost includes all materials needed, however, lunch is not provided. Please bring a lunch. Advance registration is required. Online registration opens soon. Until then, please call Chris Glenn at (919) 513-7005 to register. Registration is limited to 15 people and is considered complete when payment is received.